The weather is starting to really warm up around here and if it hasn't already, I am sure it will be warming up where you are soon too. Warmer weather usually means it is time to start thinking about wearing less sweaters and pants and start thinking about shorts and swimsuits and short sleeve shirts. Things that make you think about not eating yummy things like chocolate truffle pie. So make sure to bake this dessert before it warms up and you start thinking this way because this looks way too good to miss out on! 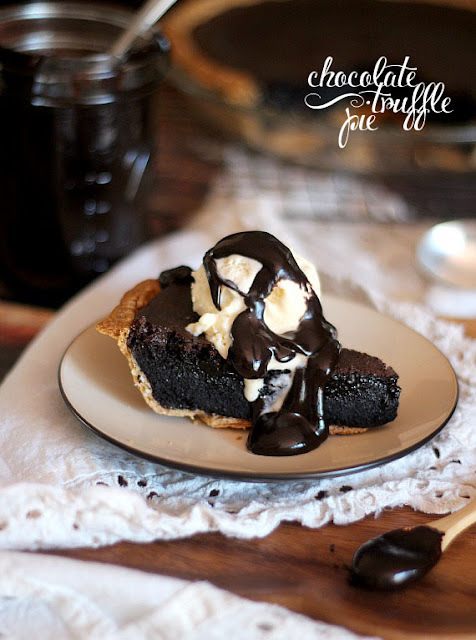 You can get the chocolate truffle pie recipe over at Cookies and Cups.